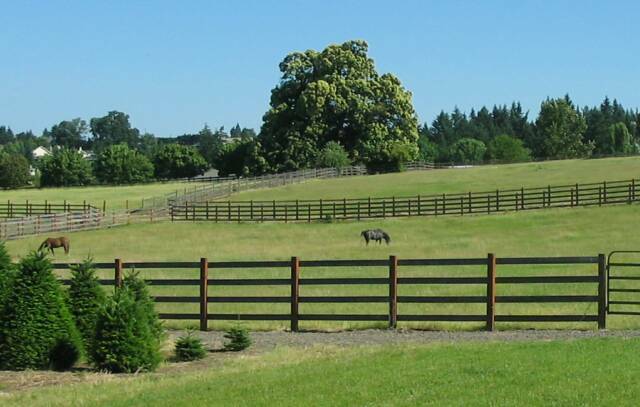 Located just south of Portland in the rolling hills of western Oregon, Rolling Rock Farm was established in 1980 and is recognized as an exclusive training and breeding facility for hunter-jumper horses and ponies. We specialize in Welsh and half-Welsh ponies for the youthful competitors as well as sport horses for the amateur owner. The farm hosts a 200 x 80 indoor jumping arena, a 120 x 60 indoor pony arena, a 200 x 100 outdoor all weather arena, 2 heated tackrooms, hot wash racks and acres of fenced and x-fenced pastures....a premier facility for the equine enthusiast. Our training and riding programs focus on the competitive edge of the sport and are designed to prepare riders of all ages for a successful career in the show ring. Our trainers and coaches have extensive experience in a variety of equine disciplines and collectively they provide an environment which is educational, safe and fun! As our riders progress through the curriculum, they acquire not only the riding and training skills, but also a knowledge base of horse health, nutrition, and maintenance. Preparing for the competitions, they will participate in the conditioning, grooming, trailering, braiding, registration and all the other 'behind the scenes' responsibilities. Students also experience the freedom and fun of trail-riding on a regular basis and can participate in the annual summer trek to Central Oregon for some trail-riding in the Cascade Mountains. We always have horses and ponies for sale so check the Sales List regularly for updates. Our staff is also available for equine and pre-purchase evaluations. Consignments are welcomed. Rolling Rock Farm also hosts schooling shows and clinics throughout the year. Events and dates are listed on this website and published in the local and regional media.